Scale support with AI-powered chatbots. Einstein Bots increase case deflection, reduce handle time, and come preintegrated into your CRM data and real-time channels. 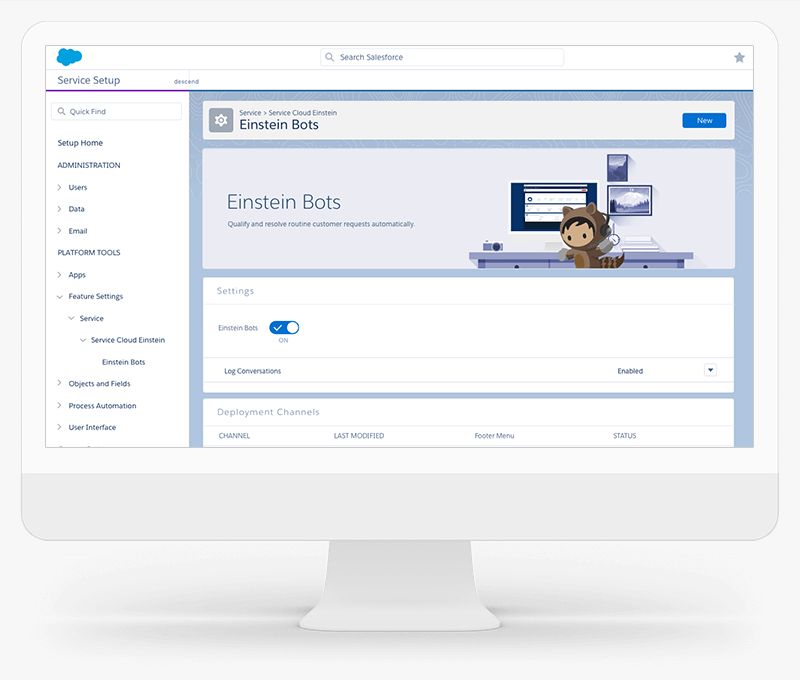 Use Einstein Bots to collect and qualify customer information to resolve routine issues or seamlessly escalate to an agent for fast resolution. 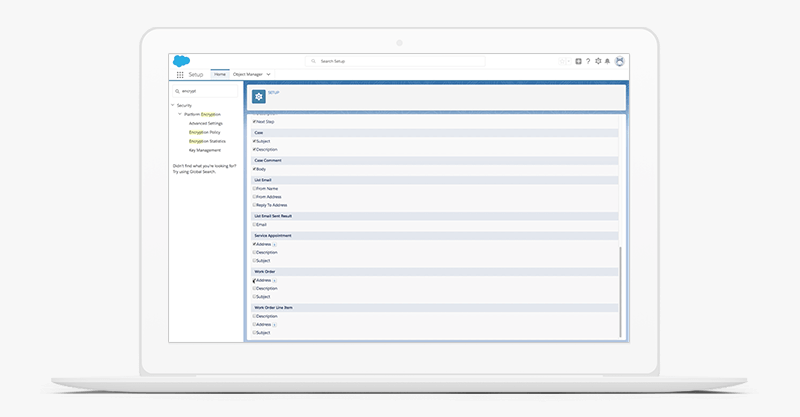 Deliver personalized service from anywhere, and empower your employees to triage, manage, and resolve cases with the new native mobile app. Push notifications keep agents up to date on the status of their cases, making it easier for them to provide customers with fast, responsive service. Deliver smarter, more consistent service on Lightning. Guide agents step by step through service processes as they interact with customers. Empower agents to select the right process for every customer interaction and resolve customer issues with consistency and accuracy. Display only relevant fields for each process, and configure dynamic UI so that agents have a script for complex interactions where regulatory compliance requires specific language. 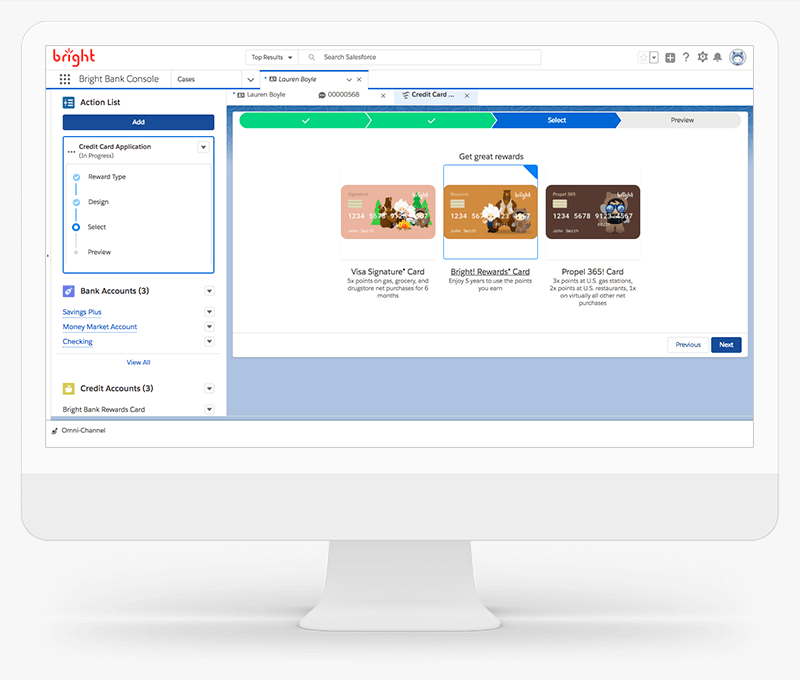 Close cases faster by ensuring cases are always routed to the right agent to solve the case the first time with Omni-Channel Skills-Based Routing. 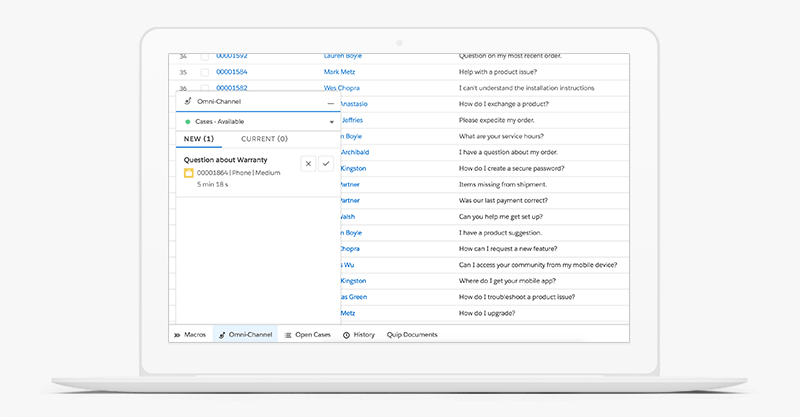 Automatically push cases to agents based on their skill set, availability, and capacity. 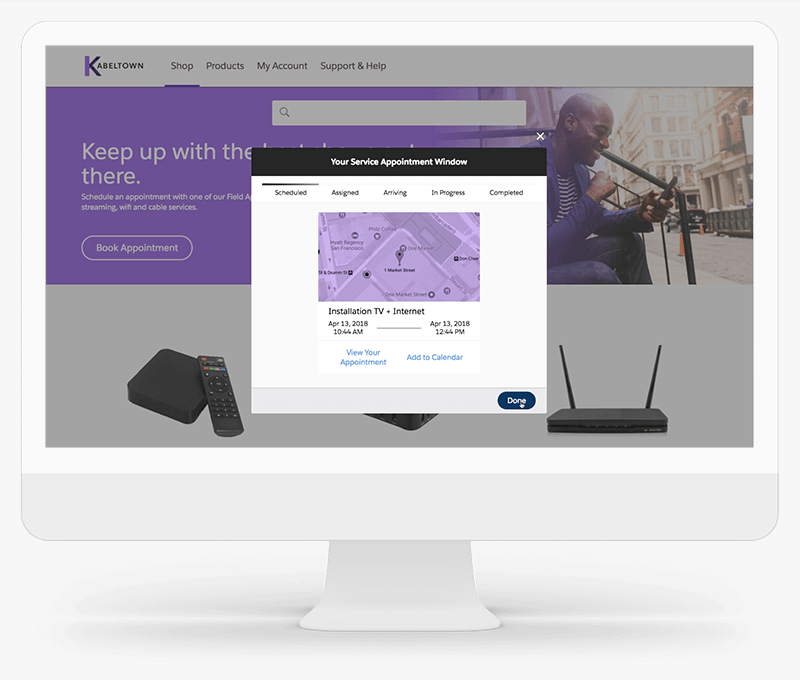 Give your customers the power to book and update service appointments directly on your website. With Snap-ins you can easily embed a branded appointment management experience declaratively, on your website or community. 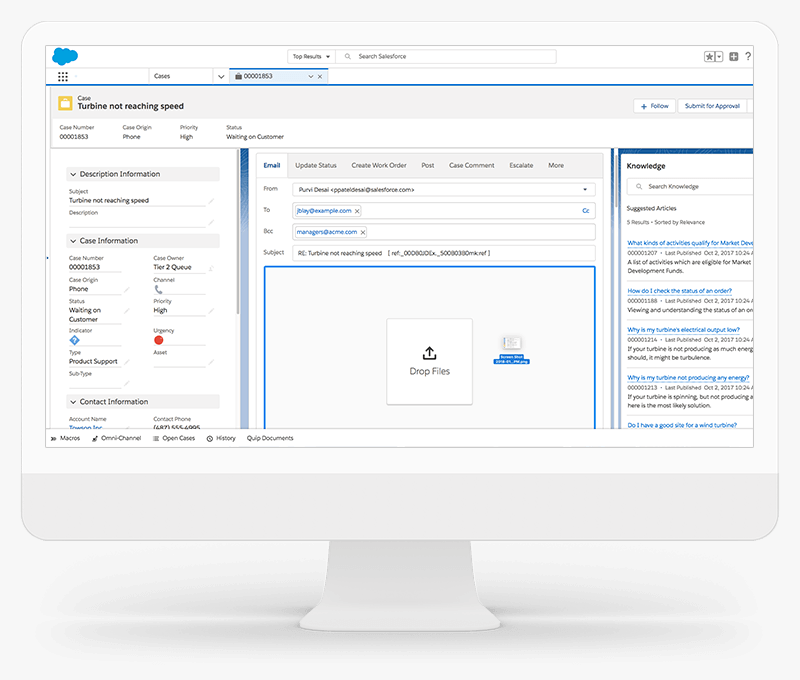 Even customize the appointment booking steps according to your own business processes with Lightning Flow. Deliver trust and compliance with Salesforce Shield capabilities in for any onsite work done by mobile employees. Encrypt sensitive customer information on work orders, files, and service appointments, and track work with field audit trails. 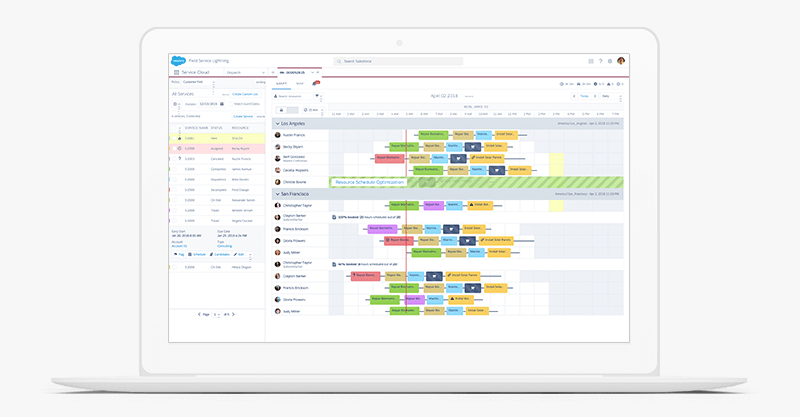 Quickly handle schedule disruptions for mobile workers by reshuffling work for mobile employees in the field. Resource Level Optimization will automatically gather all future maintenance in the appointment area, and recreate an optimized schedule. Want to learn more about our releases? Sign up for our Release Readiness emails today.